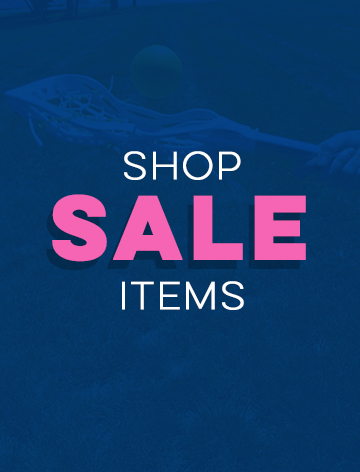 LuLaLax.com is your one-stop online shop for all the girls lacrosse gifts, home decor, and apparel any player will be proud to show off - and definitely love to receive as a gift. With great lacrosse T-Shirts, flip flops and slide sandals, personalized pinnies with player names and numbers, tank tops, lacrosse shorts - and lots more. We also have fun room decor like custom printed girls lacrosse throw blankets and throw pillows, LED lights, and picture frames, as well as a large array of girls lacrosse jewelry that’s a great gift for a special player or the whole team at the end of the season. If you’re looking for anything girls lacrosse, LuLaLax will have it. We both custom print and engrave our girls lacrosse balls and have the lowest prices, including a bulk discount, and no set-up fees, ever. We have templates that can be customized with player and team names and numbers, player awards, and coach names - and can even print or engrave a custom version of your team logo on a regulation lacrosse ball that we also sell display cases for. 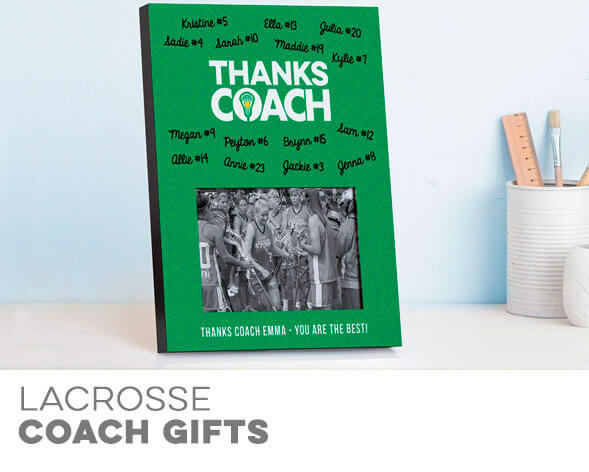 Create a special team keepsake for the end of the lacrosse season, and surprise the whole team… or say thanks to your coach for all that hard work and dedication to the team. Our custom girls lacrosse balls are also ideal for party favors, birthday gifts, prom invitations, and other creative ideas, as they a great lacrosse keepsake. Produced here in our office/production facility located in Norwalk, Connecticut, we have unique girls lacrosse apparel for every season. With personalized T-Shirts and girls lacrosse tank tops - as well as reversible, moisture-wicking pinnies (which all can be personalized with a player or team name and number for a special gift or team celebration). Be sure to check out the warm and cozy lacrosse sweatshirts. Our fleece lounge pants have original lacrosse designs, as do our leggings and athletic tights - which are great on the field, as they are moisture-wicking and keep players dry and comfortable. Players also love our oversized, bold statement jerseys - a great way to show that lax pride. Choose from girls lacrosse engraved sandals, which are perfect for a summer day and can be worn with just about anything, super-comfortable, personalized slide sandals that are ideal to slip into after a game, or girls lacrosse flip flops that can be inspirational, cute, or just an expression of love for the sports. 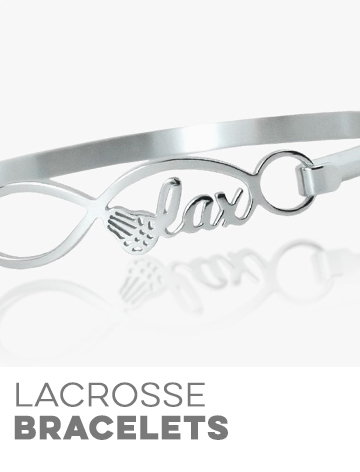 We hold ourselves to the highest standards and aim to surpass your expectations by designing and creating a custom girls lacrosse gift that will be a hit. Almost all of our apparel can be customized with team and player names, monograms, or numbers - or the text of your choice - is proudly made to order - and to your specifications. Everyone knows lacrosse girls love to decorate their rooms… and their bathrooms… and their lockers… and anything they can with lacrosse items. We have custom throw blankets and pillows, as well as beach blankets; LED lamps, picture frames and room signs, personalized wall hooks (ideal for hanging lacrosse sticks, cinch sacks, and pinnies) and medal hangers; and lots more. That special lacrosse player in your life will love these custom girls lacrosse gifts display them with pride for years to come. All the girls lacrosse clothing and gifts are all designed and manufactured by LuLaLax and our dedicated artists, designers, and production team. We are inspired by the sport, and create unique gifts players will love, that you won’t find anywhere else. When you want something truly special and inspired by our love for lacrosse, as well as our own children’s dedication to playing. As a family-run company, we strive to design and produce original gifts for girls lacrosse players that will really wow them. And if you have an idea for one of our products we missed? Give us a call! We’ll do all we can to make your vision happen. 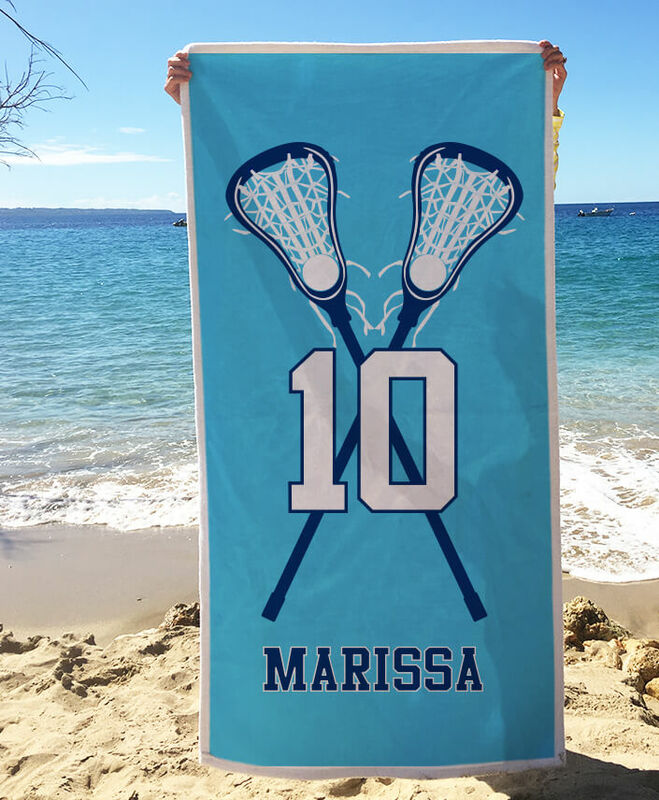 Most of our apparel and home decor (including T-Shirts, beach towels, blankets; Christmas ornaments and room signs; slide sandals and trucker hats - among others) can be custom printed with your own lacrosse team logo, a favorite photo, or your own text for a one-of-a-kind gift. Choose your products - anything from socks, tank tops, to pinnes and T-Shirts; water bottles and picture frames to trucker hats and slide sandals. We’ll create your team store for you and give you a URL to give to players, parents, fans, and supporters. We’ll produce and ship all your orders - and you get to keep a portion of the proceeds. It’s not only the ultimate team fundraiser - with myriad choices, it’s a great way for you to have as much team merchandise as a major league team. Just sign up for your team store, sit back, let us do all the work… and you’ll be on the way to earning money for your team in no time. We know lacrosse players are thrilled to share their sport with their friends and family members. 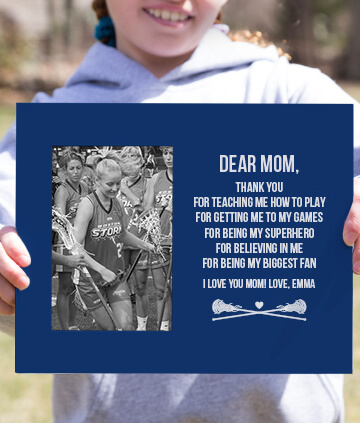 We have custom thank you gifts for mothers and fathers who support their young players. 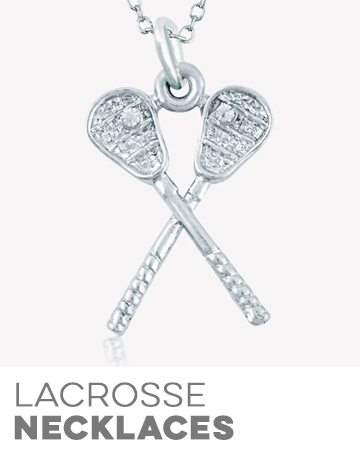 Custom jewelry for mom and dad (including engraved dog tag necklaces), as well as Christmas ornaments, pillows, blankets, and even lacrosse glassware are the perfect gifts to thank mom and dad not only at the end of the season, but for birthdays, Mother’s Day and Father’s Day, or any holiday. LuLaLax loves the holidays, as well, and we like to share our special lacrosse gifts with players and fans to help them have a happy holiday, no matter what they celebrate. We make new, exclusive girls lacrosse pinnies, T-Shirts, lacrosse apparel accessories, and home decor for every holiday we can think of, from Halloween through Christmas through the 4th of July. We have girls lacrosse LaxBoxes, these gift boxes are chock full of great lacrosse apparel and gifts for savings up to 50%. It makes gift giving fun and easy. These lacrosse gift boxes are the perfect gift for any occasion - including birthdays, and lacrosse-themed Easter baskets. Our Christmas shop makes holiday gift giving fun and easy. Do you add a special keepsake Christmas ornament to your tree every year? Our collection of lacrosse ornaments are favorites for players, family and fans. Just grab a sharpie and add your name to the lacrosse player ornament for a wonderful personalized gift. We love lacrosse and we love dogs (we even have three in the office!) Lula the Lax Dog, the mascot for Lulalax.com is one of our favorites, though. She loves going to lacrosse games and fetching the lacrosse balls. 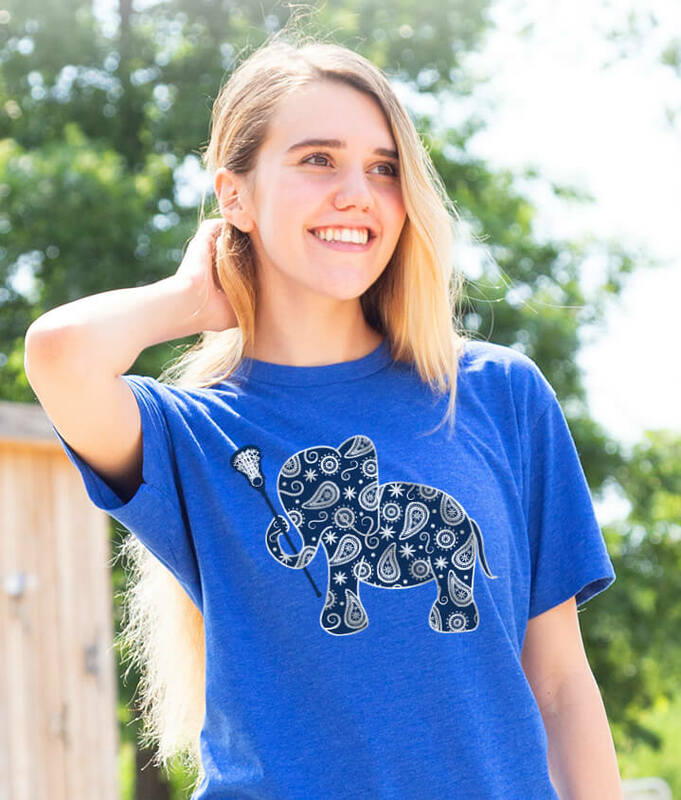 You’ll find Lula all over the site - she also loves helping you find new lacrosse products (including ones for LuLaLax girls - featuring LuLa herself) and we hope you do, too!